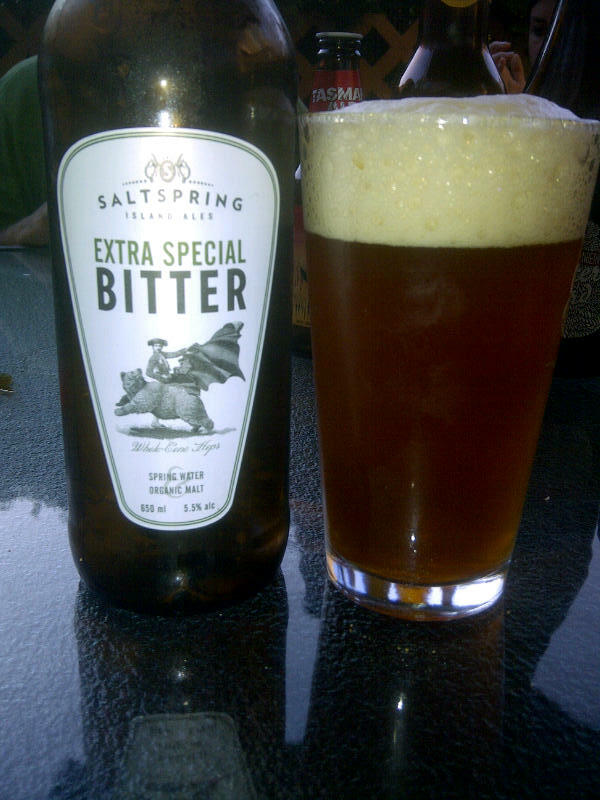 From Saltspring Island one of the Gulf Islands near Vancouver comes the Saltspring Island Ales “Extra Special Bitter”. The beer pours a slightly cloudy amber colour with a large off white head. This beer has a very unique smell as it smells of pepper and butter. This ESB tastes of pepper and butter with almost no bitterness whatsoever. This beer has less bitterness Than an Alexander Keiths IPA which is alomst none. The beer is almost more malt than hops. Do not get me wrong I still enjoyed this beer quite a bit but it is not as advertised. I am not really sure what I would classify this beer as. This entry was posted in Extra Special Bitter and tagged bc, beer, butter, canada, esb, extra special bitter, gulf island, malt, malts, not bitter, pepper, saltspring island. what do you mean by “diacetyl”?